A lot of the questions I wrote down in this week’s tutorial were mostly related to the final product and what it would be made from. I felt it would be beneficial to look into the features I like in animation other than the craft. 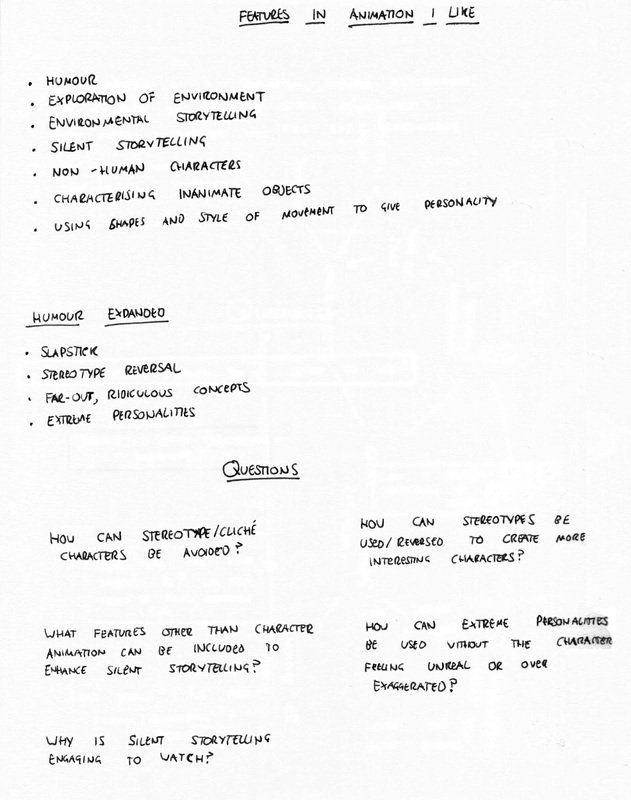 I wrote down things such as film-making techniques and narrative and characterisation features that interest me in other animated works. These aren’t necessarily topics to focus my entire research around but they are things I may want to incorporate into my project. It felt better to write these thoughts down rather than to keep them in my head.